The state of collective energies and intensity that has come up during 2018 has, for most, added even more stress to our lives than previous years enhancing levels of emotionality and reactivity. This enhanced state of tension brought about by general unrest or uncertainty, political and social tension, and what feels to be a bit of global darkness has lead many feeling heavy, experiencing prolonged states of depression or anxiety, energetically clogged, or simply feeling like they are off their center. When we are in states like this, our ability to stay calm, let go of the past and move forward into new ways is limited or even cut off leaving us feeling a bit lost, energetically overwhelmed, and simply not clear. For those who are feeling overwhelmed or not sure how to clear or return to their center, you are not alone. 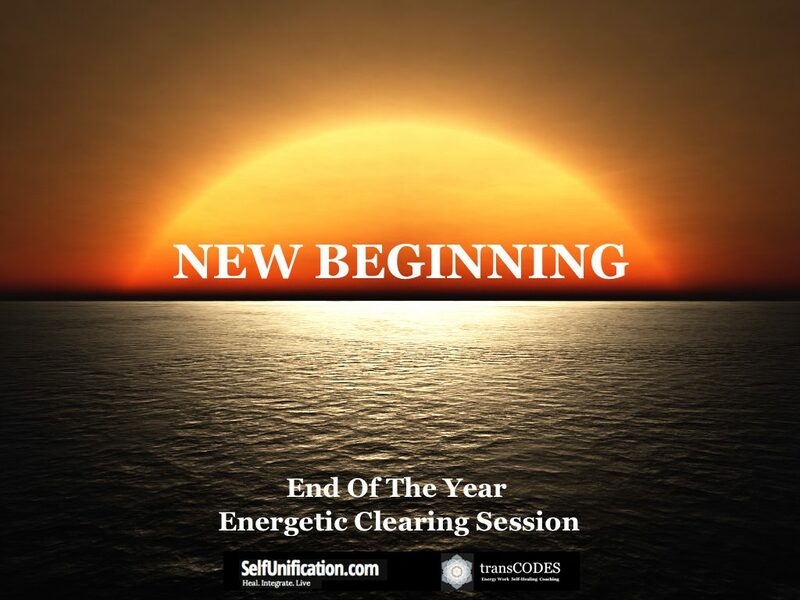 And, if you find yourself seeking a bit of assistance in clearing your field/finding your center to allow higher vibratory energies to aid you in change as well as to experience life with a fresh feel, I am offering the Energetic Clearings at a discounted price until the end of December 2018. The Energetic Clearings offered are interactive and allow me to assess your energetic system to determine where there are blocks in the flow of your energy. I then work with your energy to help remove or unwind these impediments to increase symmetry and proper energy flow in the physical, mental, emotional, spiritual or etheric part of your energy body. And with this special, these sessions help to remove excessive or toxic emotions, negativity and any attachments that may be keeping you tied to old ways and binds that limit your connection with your Source. Also, during the session various psychological or behavioral patterns within you will be assessed. These are typically unresolved or hidden issues of the ego – sometimes called shadow traits – that need to be integrated and understood. Through the session and the Energetic Clearing Report, this work will help you to become consciously aware of your inner shadow traits, help to clear the negativity surrounding these patterns and facilitate a more comprehensive integration of these aspects during your ongoing personal work and self-healing process. Energetic Clearing processes are suitable for everyone. They can help to create a ‘clean slate’ for old energies to be released and new manifestation energies to come in. And with the report, I will outline the work performed and make suggestions on how to add to your ongoing self-healing efforts. Typically, these sessions run $250, but for until the end of December, the price has been lowered to only $150 and will include a 60-90 minute coaching session to help in reframing and integration. The clearing work is really a wonderful way to assess where you are at and what is coming in for you to work on to go deeper into your journey. If you are interested, please click here to be taken to the energetic clearing sign up page and choose the option that you would like, or email me at selfunification@gmail.com with any questions. « Is Intention Enough to Succeed at Making Changes?